Ben Cavazos and his son Oscar Cavazos are a true testament in showing how great customer service and efficient employees can make a small business flourish. 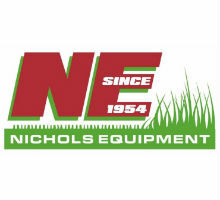 Through the best practices they have in place, MAE Power Equipment has increased profits yearly and continues to grow through utilizing community resources, finding additional money-making outlets, and teaching their staff how to interact with customers in ways that keep them coming back. We spoke with Oscar to learn more about the processes they have in place and how it makes the Middleton, TX, business so successful. What do you think have been the main keys to the success of your business? Oscar: “Service, service, service. The one thing my dad has always stressed is service in treating customers right. Give the customers a straight answer. Don’t lead them to think that you are trying to con them or do something to them. What have been the most effective ways to generate revenue for your business? Oscar: “Mainly it is going out and visiting people in school districts and parties. Every year we do a commercial open house, which is like a customer appreciation day. We invite people from all of the school districts, colleges, and inner-cities. We’ve had over 200 people attend these events. We feed them and also put on little training seminars for doing basic maintenance and upkeep on mowers in order to try and refresh people’s minds before they go into spring and summer. We go over the maintenance that needs to be done to keep the equipment running. We usually get a lot of owners that appreciate it and that generates more repeat business, especially from the independent school districts. We have some school districts that send 20-25 guys. Another main thing is customer service. If someone asks us a question and we don’t have the answer for it, or if they are looking for something that we don’t carry but they might need, we try and do what we can do to get their question answered or their problem resolved. If they want to order something that we don’t necessarily carry, we will find it and get it for them. 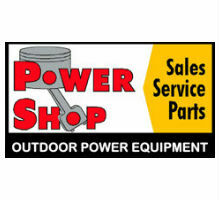 What would you suggest to help someone who wants to grow and increase the profits in their Outdoor Power Equipment business? Oscar: “The main thing is to work with higher-margin accessories. If you deal with chainsaws, you usually see that chainsaws have a pretty high profit margin. One thing that we have done to increase our profit is incorporate an environmental fee, which we implemented back in 1998. That is something you never charged in the past, but it is something that helps you cover your labor costs, use of lubricants, and having to get rid of oil that you changed for customers. Depending on the job, you can charge anywhere from a minimum of $5.50 to even $10 across the board, depending on the business. That’s extra money that a shop can easily generate because it is $10 that you never charged before, and now it’s something that’s the standard. Everybody’s doing it, and it is a way to recuperate your costs of some of the service you do. Another thing is that we always have coffee here for the guys in the morning. It isn’t a huge draw, but if one of our customers wants coffee, they can come here. That gets them in the door and you can sell them. It’s almost leading a sale, and you can tell them about something they might need like air cleaners, air filters, and (going back to your higher profit accessories) want like chainsaws or oils. That stuff is something that you can usually charge a little bit more for and it is stuff that they really can’t find at Lowe’s or at Home Depot. These products are also something you are able to give them advice on and let them know what they should or shouldn’t be doing. What have you found to be the most effective for getting new customers? Oscar: “When trying to generate big customers and big quantities of customers, it is word of mouth that generates the most sales for us. Our main focus is on commercial, not the residential. So dealing with the kinds of people we do, they deal with people in the same kind of work and that is how we get new customers and people talking about us. Have you implemented any best practices for increasing the size of each sale? If someone comes in looking for an air filter, we try and sell them a kit that not only has the air filter, but the air filter and all the spark plugs, which has a higher profit margin than just selling them the air filter on its own. The same thing if they come in with a lawnmower from Sears or Lowe’s. We suggest to them, ‘Oh, you couldn’t find this at Sears or Lowe’s? Well, they don’t carry parts.’ It shows that they don’t do the service that we do. 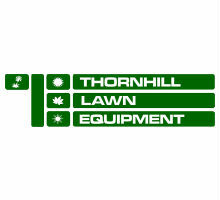 You need to show customers that you service what you sell, and show them that you have parts for it and that you are more up-to-date with the mowers that you sell. 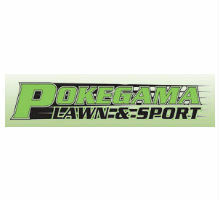 So if something goes wrong with the mower, it shows that you are more likely to have answers for them for something that was bought from you, rather than something that was purchased somewhere else. So, the next time they go to make a purchase, they might think about at least checking out your prices. Your prices are always going to be higher regardless, but at least they will check you out. How do you increase conversion rates and convert a higher number of customers that come in the door? Oscar: “The main thing is to try and not confuse the customer. Limit it down to probably three products and say, this is A, B, and C. Another thing is to qualify the customer and ask them the right questions. There are some people that, no matter what happens, don’t ask the customer any questions. And if the guy is looking for a weed eater, they automatically go to the lowest-priced weed eater and sell him that. This is usually easier, but if you qualify the customer and see that he is going to be doing bigger jobs than what this little weed eater can do, you may be able to show them the advantages or disadvantages. You can point out that if you go with this weed eater, it is smaller and is going to take up more time. But if you go with this bigger one, it has more power and going to take up less time. You will be able to finish the job faster and go onto the next one. How would you suggest a dealer goes about increasing billable hours and generate more revenue from their service department? Do you offer any incentives to your mechanics to promote better efficiency? Oscar: “Yes, we offer commission based on hours billed. Say, in a given week, the mechanic bills 20 hours, depending on where they are at, they get three to five dollars extra for total hours billed. So, if he is efficient enough and he can bill out 30 minutes, and does something he can bill per hour, he gets his hourly wage, which is maybe $10. Then if he is at a $5 commission for those 30 minutes, he is actually earning $15. That’s because you are able to bill that hour, and is able to gain a whole lot more. How has Ideal’s Business Management Software helped you accomplish the revenue-generating items we have discussed? Oscar: “Generating reports to find and get the correct information out of the system based on product lines and mechanic’s time billed, is an eye-opener. Another thing that we offer for the counter guys is commission that is about 1/2 of a percent based on overall sales. So that is also an incentive for them to sell more products and generate more income. But Ideal has been most helpful by running reports to get an idea of where we sit in overall inventory, what we sold in the past, and what products need to be run. Order recommendation reports are also very helpful in being able to get that information out and do a report based on the last three months of sales, anything over selling three or more of on a particular item, etc. 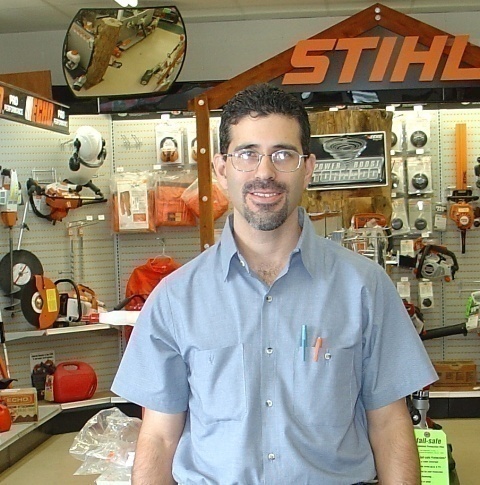 For example, you can look at Echo or Stihl, anything from one supplier, and do monthly orders or weekly orders. You can even search for fast-moving parts or something that you sold over 50 of in the past year. You can pull that up and see what your inventory is like and if you need to order more, to keep more in stock, or if you see a trend of the parts are not selling as frequently so you can slow down your ordering habits. What advice would you have for a close friend or family member if they were getting started in the OPE business today? Oscar: “The running joke was, “stay out of it.” That is because it is not a very easy business to maintain or to run. It is something that you have to love to do and want to do everyday. It’s not lucrative, for the most part, until you get up into your multi-million dollar dealerships. Once you get your volume up, that is really when you are able to gain a lot from the volume that you are selling. In 2004, we were the OPE Dealer and Excellence Award winner. We won the category that was for between 1 million and 3 million in sales. We struggled to get into that $1 million mark back in the 90’s and one thing that helped us was purchasing Ideal in 1998. After that, we were able to keep closer tabs on our business.